November 28, 2017 (Lake George, NY) ADK (Adirondack Mountain Club) has released the second edition of its popular hiking guide, Views from on High: Fire Tower Trails in the Adirondacks and Catskills. Extensively revised and redesigned, it includes a new chapter describing fire towers outside of both parks. The intervening years have seen what coauthor Jim Schneider refers to as “fire tower fever,” a sweeping enthusiasm that has helped prompt restoration of numerous towers and their trails. 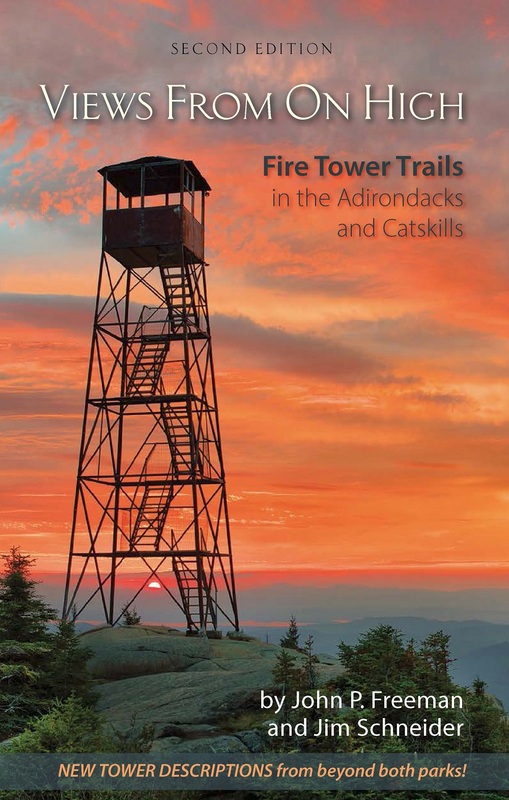 Written by John P. (Jack) Freeman and Jim Schneider, Views from on High enables hikers, history buffs, and others fond of Adirondack and Catskill trails to visit and learn about 30 historic fire towers. Detailed trail descriptions are accompanied by numerous photographs and maps as well as an essay about these structures written by historic preservationist Wesley H. Haynes. The new chapter, Beyond the Blue Line, by tower aficionado Jacob C. (Jake) Wilde, describes 13 additional fire towers, three of them demonstration towers. “Fire towers enabled our forebears to literally see the forest through the trees, moving them to comprehend its vast scale, understand its importance, and dedicate themselves to its preservation,” Haynes’s essay observes. When ADK first published Views from on High in 2001, all five Catskill Park fire towers had been restored, but Adirondack towers were another matter. Author Jack Freeman divided them into two categories: Towers with a Bright Future and Towers That May Not Last. The latter category involved five fire towers on private land and those DEC had identified as “nonconforming structures” and thus slated for removal. Their future was bleak. Today, all five towers—on Mt. Adams and Hurricane, Lyon, Spruce, and St. Regis Mts.—have been restored and opened to the public, although ice and wind damage early this year necessitated further repairs on Mt. Adams. During the same interval, other Park fire towers were rehabilitated, most recently Stillwater Mt. This tower’s restoration in 2016 included construction of a new trail and better recognition of this remote peak’s historic role as a primary triangulation station for Verplanck Colvin’s Adirondack land survey. Views from on High also provides insight on the role fire towers have served in environmental education. Over time, the observers who once staffed these towers came to be recognized for their less noted but equally impressive work as backcountry educators. Today’s fire tower staffers, funded by “Friends” and other local community groups, are hired specifically as educators. Lead author Freeman is an accomplished hiker, chemist, conservationist, and musician who in the 1990s became a leading voice in efforts to restore fire towers in the New York State Preserve. Schneider, a librarian, is also an experienced hiker. A winter 46er and Northeast 115er, he has been an active ADK volunteer for more than 30 years, including service as a High Peaks Summit Steward, lean-to adopter, and trail steward. He is co-creator of the ADK Fire Tower Challenge, sponsored by ADK’s Glens Falls–Saratoga Chapter. A complement to Views since the guide’s inception, the ADK Fire Tower Challenge requires hikers to ascend and document at least 23 of 30 fire tower summits found in the Adirondacks and Catskills. 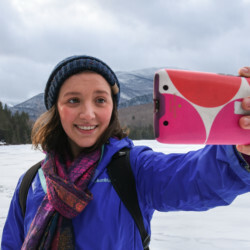 Three-season Challenge completers, almost one thousand to date, receive a patch from the chapter; hikers completing the more recent winter Challenge, currently numbering almost forty, receive a rocker patch. The Challenge has been revised to reflect the new tower list. The Challenge and the book itself serve to introduce hikers to little known parts of both parks. 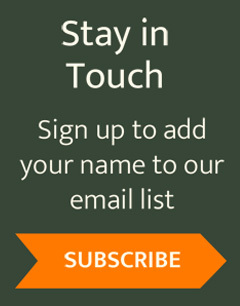 About ADK: ADK (Adirondack Mountain Club) is the only nonprofit organization dedicated to protecting and advocating for New York State’s wild lands and waters while also teaching people how to enjoy natural places responsibly. Since 1922, the organization has offered people opportunities to stay and play in as well as protect, discover, and explore the outdoors. Today, ADK has 30,000 members in 27 chapters statewide and is served by a professional, year-round staff. The organization is recognized as a vital voice in the commitment to environmental stewardship and ethical outdoor recreation in New York State. 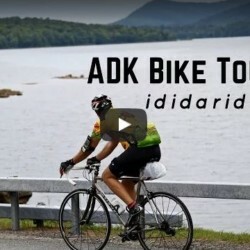 For more information on membership or making a difference, head to www.adk.org or follow ADK on Instagram, YouTube, Facebook and Twitter.